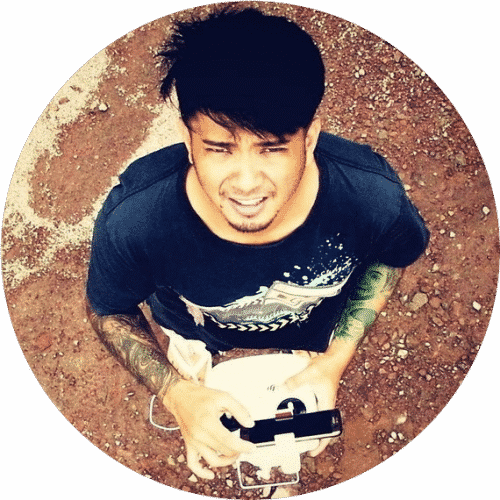 Are you a quadcopter hobbyist or a professional photographer? Have you been thinking of the cheapest and highest rated drones in quality? If you have, join us in our short trip to China as we explore the best Walkera quadcopter models. First, you should know that the Walkera Company is one of the great contributors in the ever increasing field of UAV producers. It is located in Guangzhou, China and since 1994, the company has dedicated its zeal in a bid to research and develop the market’s very best brands. 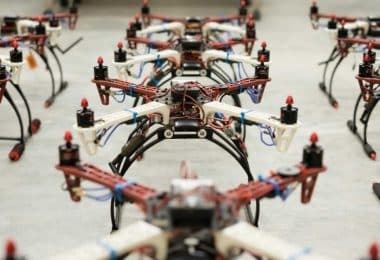 Up until now, the company has produced about 12 types of quadcopters that are trading high in the current international market. Nonetheless, this company’s products weren’t as popular in the Western countries as they were in the Middle-East market until recently. This is because the company had reserved its market in Middle East and only opened its American division in 2014. Then again, since their inception, the company’s drone brands have also been able to grasp a fair share of market sales like many others. 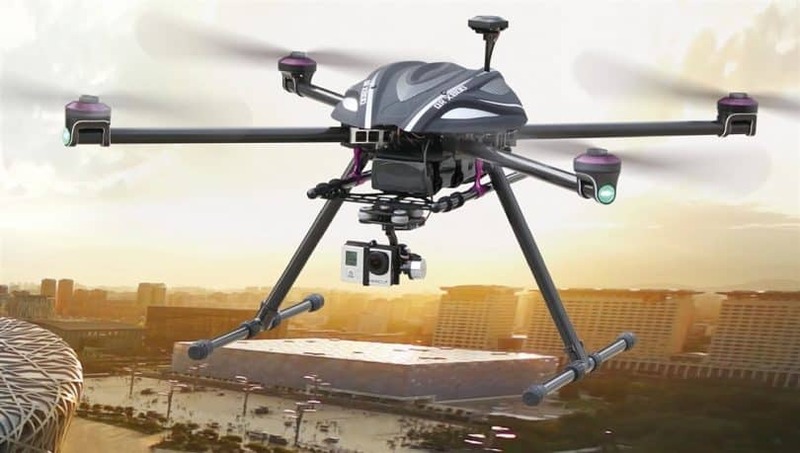 This owes mainly to the company’s creativity in designs, ease of use and the cost of the drones. To keep you u to date with the best models, we put together a comprehensive quadcopter evaluation that contains the top 5 Walkera drones as seen below. The Walkera QR X400 is one of the best alternatives for you to fly quadcopters for fun or just in domestic photography. This drone is pretty amazing by design and has the ability to take fairly good pictures/videos that can be uploaded directly to your social network. The drone is also very stable and its video footage is an undoubted masterpiece that lacks the normal shakiness of quadcopter videos. Since it is app-controlled, it is able to make air moves like swings, rotations and many others with ease yet remaining stable. Moreover, its cheap price is second to none of its quality. Have you thought of a Ready-to-Fly drone that is app-controlled, fully fitted with a GPS controller and with a battery life of up to 20 minutes that costs just $250? If you have never had the thought; well, try this option today. Moreover, this drone isn’t too popular thus giving you an assurance of authenticity as very less counterfeits have been manufacture if any. Nonetheless, this drone still misses the mark owing to a relatively shorter battery and drone body durability. 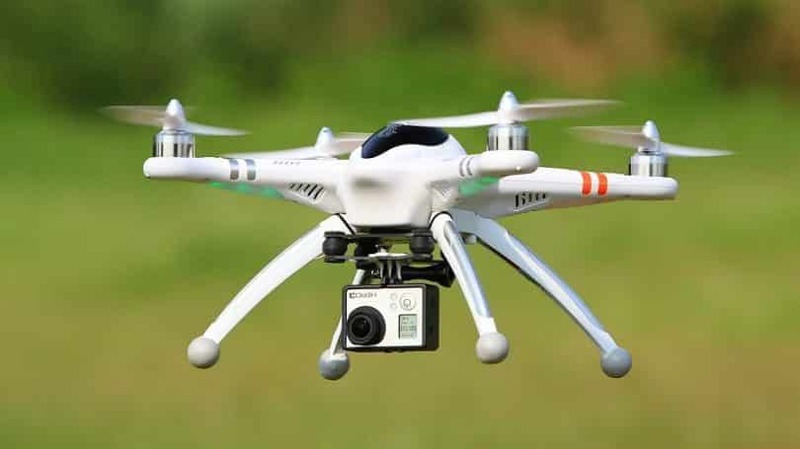 In addition, its camera is extremely poor for use in commercial purposes; when coupled up with the frequent connectivity issues, this drone misses the mark of greatness. Even so, the QR X400 is still a great option for use as a toy. On a scale of 10, the QR X400 deserves a rating of 7.2 for its great design, a cheaper cost and a better performance in taking photos and recording videos. If China ever produced a formidable competitor to the popular DJI Phantom 3 series, the Scout X4 is one such drone. This drone places on your flying menu an extremely advanced improvement from the QR X400 bot. It is often shipped with a 3-axis brushless gimbal; an iLook+ camera, a greatly advanced retractable landing system and a Bluetooth ground station among many other things. The drone allows you to have a First Person View of the area you are exploring by relaying images to the drone controller. In addition, it is able to be controlled remotely via its GPS system. Its battery is able to last between 17 to 20 minutes. It is also very easy to control and costs anything between $850 and $900. It has a great camera and a wonderful stability that makes it a great option for commercial photographing. Nonetheless, this drone too, falls short in average ranking as it has a relatively shorter flight time when contrasted with quadcopters of its class. The Walkera Scout X4 also has a less flexible way of landing that you will have to be with unless you want to spoil your drone. On a scale of 10, the Scout X4 will scoop a 7.5 mark. Besides the two drawbacks, this drone is really magical. It has the looks, the performance, the user friendliness and the incredible quality. Though it has a relatively higher cost than most local drones and a rigidness of its landing system, this drone is surely great. It is best for both hobbyists and commercial aerial photographers. 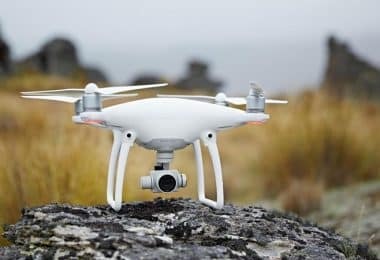 If you have used the DJI Phantom 2/3 series, you will certainly enjoy this drone, and if you want to find out more about it, you can also read our Walkera Scout X4 review. Are you a commercial photographer? Have you thought of the cheapest and better drone to drone to replace your current drone? If you have tried searching, then it is almost certain that you may have come across the Walkera Tali H500 drone. This drone is as good as it l ks, and as durable as most professional models out there. 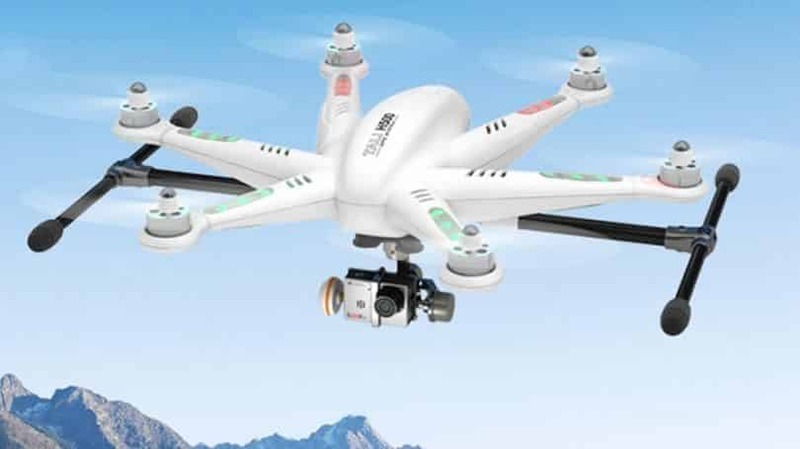 It is packed with almost similar components as the Scout X4 with an iLook HD camera, a 3-axis brushless gimbal and a landing gear among many other accessories. The drone is very stable, and has a flight time of about 20 minutes when fully charged and allows you to take images and record events from the First-Person-View. It is also very durable and tolerant to accidents and has a retractable landing gear. It can be GPS controlled and has an added feature of an Intelligent Orientation Control System that enables it to return safely and land near to its controller. 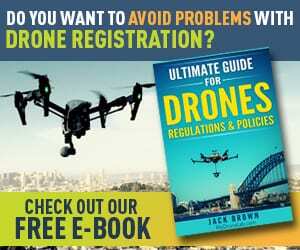 Even so, the drone also misses to be the very best as it has in the past faced a significant record of connectivity issues to its newer models. It has also had a significant record of issues with the drone’s landing system. On a scale of 10, this drone will deserve an 8.0 mark. This is greatly attributed to the drone’s performance in relation to cost. 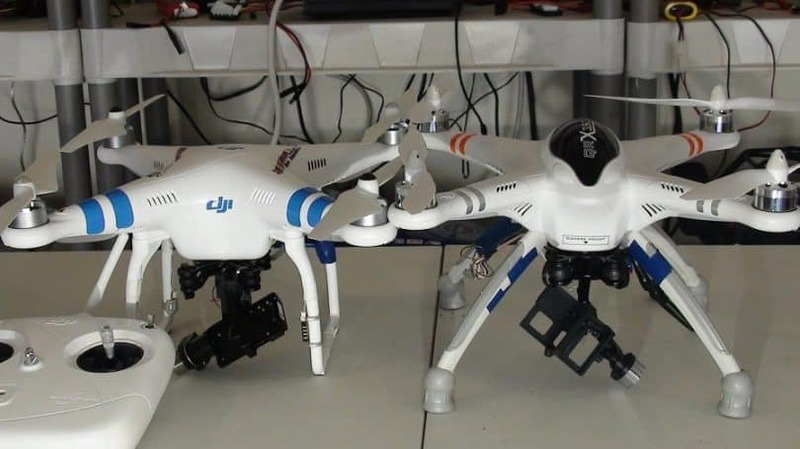 This drone fell because its continued production has fostered a counterfeited release of almost similar drones that have flooded the market and made it very difficult to distinguish between the original and the fake production. To be able to tell the difference between an original and clone version, we suggest checking out our Walkera Tali H500 in-depth review. The Walkera QR X800 is the ultimate commercial photographing mate produced by the company. It is the latest and the fanciest drone of all the Walkera drones as its capabilities and abilities are virtually unmatched by any other Walkera drone in production. 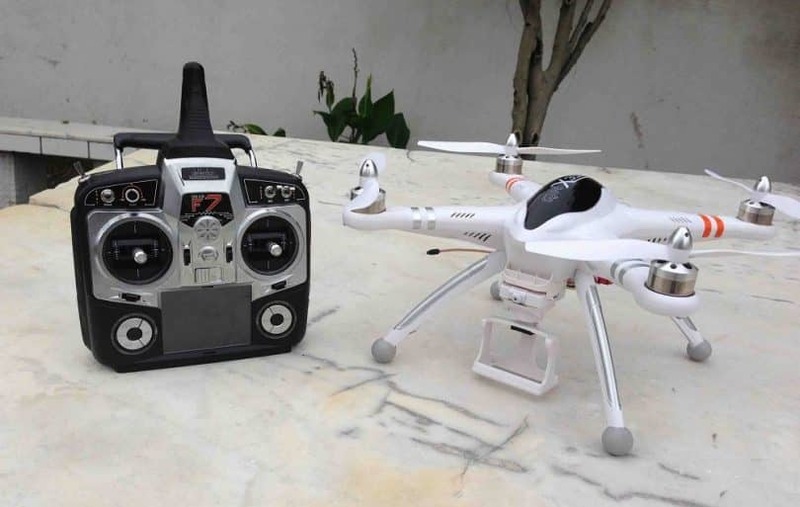 The drone has a retractable landing gear, a full FCS800 Multi-axis Control System and surprisingly enough, it happens to be the first Walkera production that comes with a variable warranty. The drone has a higher flight time of between 40 minutes and 1 hour. It can be remotely controlled by the GPS and moves with a great agility despite its huge size. Its casing is made of strong 3K weaved carbon. This means, the drone’s durability is really less of a concern. It is stable in taking photographs and relays images at a great frequency that will surely amaze anyone who uses it. Even so, this drone is very expensive as it costs anything between $1500 and $2000. This is actually the reason why its sales haven’t been great as great as with its predecessors. Since it is still new, very few people have reviewed it and currently, only the landing gear of the drone has been compromised. Thus, on a scale of 10, the Walkera QR X800 deserves a rating of 8.3. and you can find out much more about it by reading our Walkera QR X800 in-depth review. Unlike most of the Walkera drones that are Ready-to-Fly, this drone release is a Bind-n-Fly drone. This means it provides a skeleton that can be modified and customized by the buyer. Though it lacks an accompanying camera as many of its predecessors, it is compatible to a wide variety of cameras. It is GPS controlled, has the ability to carry an additional 7 pounds and can manage to increase its speed up to 45 miles per hour. This drone has a flight time of about 25 minutes when fully charged and it is very durable and fault tolerant. In addition the bot is extremely easy to control and costs just $500. On a scale of 10, the Walkera X350 Pro version deserves a 9.0. It is a masterpiece of design and performance. It is strongly recommended for commercial photography but you can also use it just for fun. Its relatively cheaper cost makes it an undeniable companion in taking snaps. Why should you buy a quadcopter from Walkera? Even though the Walkera Company’s quadcopters have not been as popular as other drones, it is almost certain that soon they will be on top. However, when the market is flooded with drones from various popular producers, why should anyone consider Walkera? We tried to offer a compelling answer, so read on. Most of the Walkera drones are cheap. Besides being cheap, they are capable of performing great acrobatics in the air that make them a great companion for hobbyists. A good example in this will be the Scout X4 and the QR X350 X2 drones. Owing to their cheap cost, they are a better alternative to use for fun. So, if you need something to entertain you, just spare some bucks and try them out. All the above reviewed drones, apart from the QR X400, are certainly awesome companions in filming. They are all equipped with cameras and performances that will certainly thrill you. This particular company’s drones are characterized by a strong stability that is great for filming. Some, like the Walkera QR X800 drone, are able to navigate and follow the photographer thus easing the issue of control even further. These drones cheap price serves a great deal to train learners because they are very easy to control. Even more, the possibility to control them with your smartphone, via an app, is quite great! Below are some of the basic aspects we identified as being very important when purchasing a Walkera quadcopter. Most quadcopter users intend to use them in photography and aerial videos, thus it is essential that you examine this feature before buying. Some drones like the Walkera QR X350 don’t come with an in-built camera and they require you to examine various cameras before making a purchase. The flight time of a drone is determined by the battery power. It is therefore important that you examine the battery accompanying the drone and the amount of time it takes to discharge. A longer flight time equals more fun and a better experience. The top in this is the QR X 800 drone that can take even up to an hour in the air. Here, you will look upon the cost of buying the entire drone with its preferred accessories and the cost of repairing the drone in case it malfunctions. At times, the buying cost may be cheaper but the drone results to a costly maintenance. 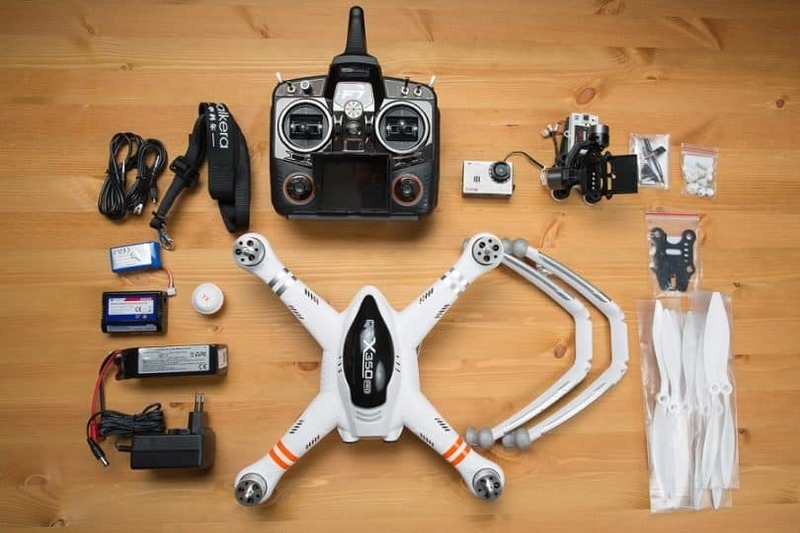 One of the cheapest drones in this category are the QR X350 and the Scout X4 drones. Not all Walkera quadcopters come with cameras and retractable landing gears. 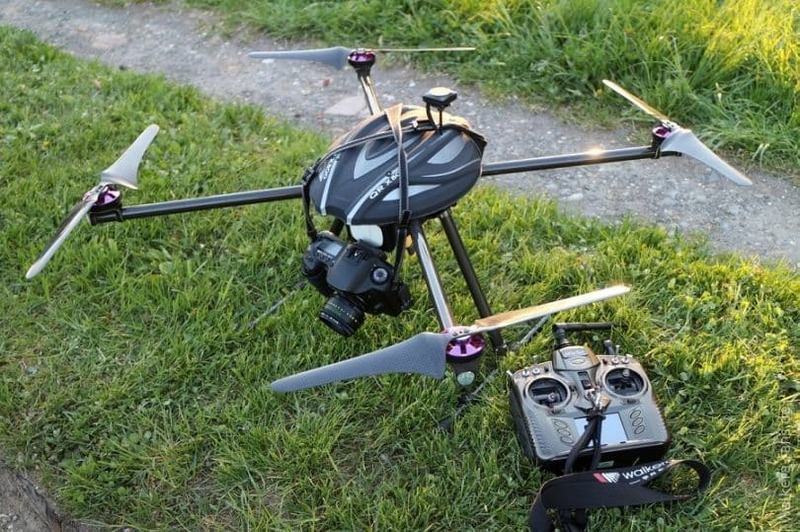 The QR X350 for instance, lacks a camera while the QR X 400 has a 2-axis gimbal. This doesn’t mean they will be worse performers, but it means you will have to invest extra in accessories. As always, warranted products have an assurance of quality. In this case, only some versions of the QR X800 drone come with warranty from the producer. However, the market is filled with pieces so, in case of a malfunction, you can always purchase new ones. When buying from an online source remember to crisscross the buyer reviews and the reviews of the seller. Often, high rated products have an assurance of quality but low rated products. 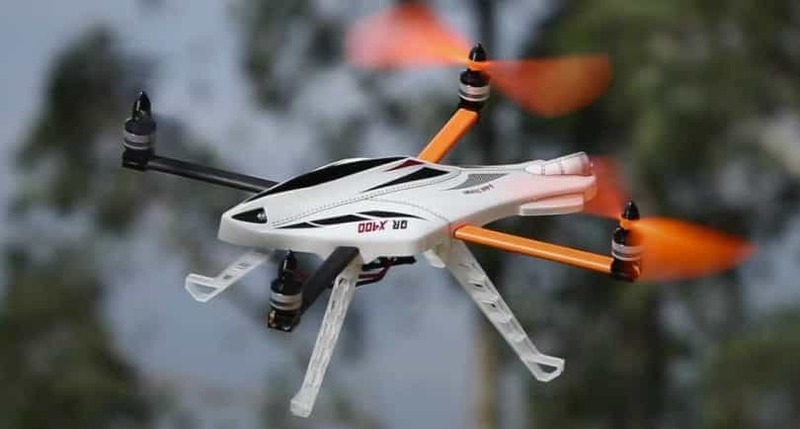 It is also vital to keep in mind that most of the Walkera quadcopters, apart from the QR X400 and the QR X800 models, have counterfeited clone products that are sold cheaply but will ultimately be costly as they break down easily. Walkera quads are not really the very best options in the market, but they are a fairly good option especially when you need a cheaper alternative of a quadcopter. Let’s now take an overview of their pros and cons. Cheaper cost: often than not, Walkera products offer a fairly cheaper option to the popular drones in the market. Both the buying cost and the maintenance cost of Walkera Company drones is always irresistible, thus if your budget is not that great, try out the QR X400 or any of the others. User-friendly: besides the cost, the Walkera drones are always easy to control. All the 5 drones reviewed above are app-controlled and are incredibly easy to control. You don’t need too much learning before you can begin performing air acrobatics like swings and 360 degree rotations. Cute designs: when it gets to designs, almost all the drones above are incredibly cute. They got both great looks and an accompanying equally great landing gear. Longer flight time: almost all the drones above have a flight time of over 20 minutes, which is far and above the ordinary drones. They all get the job done! Though some of them have issues with quality, all the drones perform best in their respective fields. 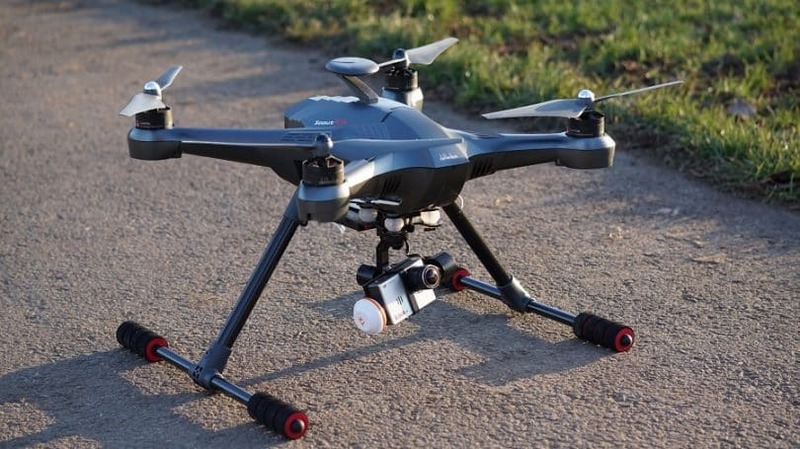 Generally less durable landing gear: most of the Walkera drones have been compromised in the quality of the landing gear. Apart from a few models, like the QR X350 and the QR X800 most products have this issue. The 5 drones we evaluated are surely not the only drones produced by the Walkera Company and may certainly not be the last ones. Though some of them have had an accompanying poor record, most of the Walkera drones are great to use. 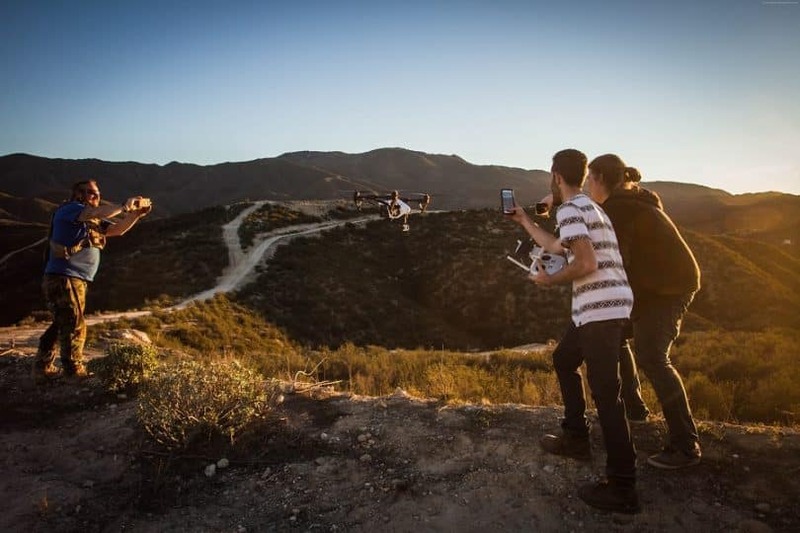 Almost all of their latest releases are equipped with the latest technologies like GPS controllers, the 3-axis gimbal, and a retractable landing gear, among many other goodies. Thus, it is certain that they are likely to become the market’s best drones if the company keeps up its pace in innovation. That is it for now, our trip to China ends here!